Elle Russia revealed their latest cover featuring South African model Candice Swanepoel, which was designed to resemble an Instagram post. Brands are tagged on the cover as hashtags. The reason behind the design was to highlight the issue’s theme: technology and the future. 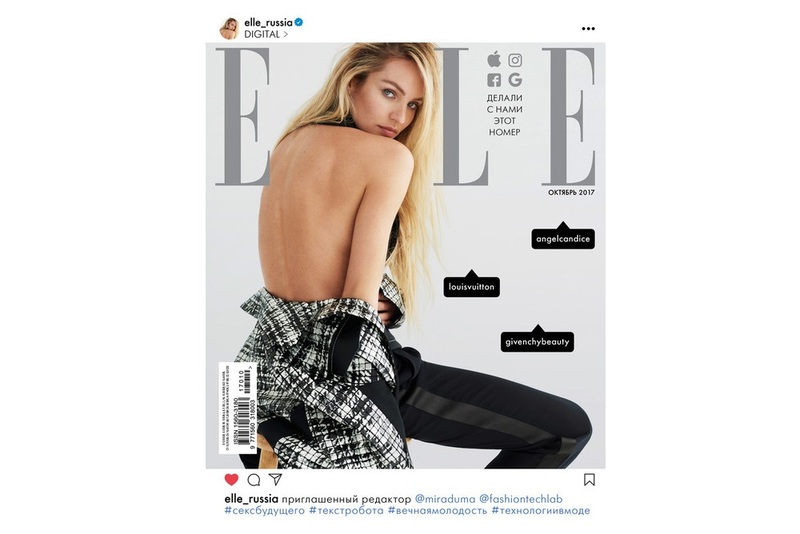 In designing the Instagram-influenced cover, the editors at Elle Russia demonstrate that they acknowledge the rise of Instagram as a influential social media hub for designers, editors and models in the fashion world. Those interested can view the cover design on Elle Russia’s website, however, Russian speakers interested in reading the October issue will have to acquire a subscription.